Amy Hempel is a master of the short story. This celebrated volume gathers together her complete work -- four short collections of stunning stories about marriages, minor disasters, and moments of revelation. With her inimitable compassion and wit, Hempel introduces characters who make choices that seem inevitable, and whose longings and misgivings evoke eternal human experience. 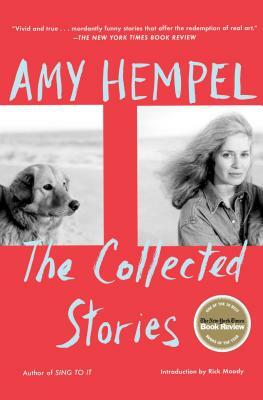 For readers who have known Hempel's work for decades and for those who are just discovering her, this indispensable volume contains all the stories in Reasons to Live, At the Gates of the Animal Kingdom, Tumble Home, and The Dog of the Marriage. No reader of great writing should be without it.